In 2001 has been manufactured sailing boat Oceanis 311 called Seirios. 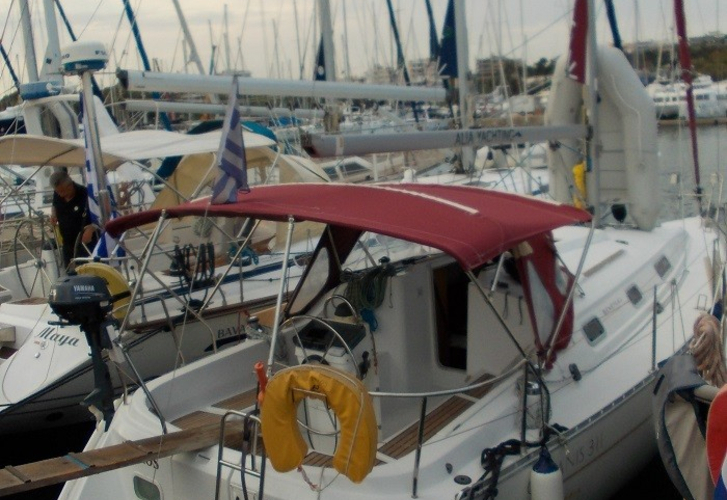 This yacht is placed in base Athens in surrounding area of Athens in Greece. You can take in up to 6 crew members on the sailboat Seirios. Arrangment of sleeping places is 6 (4+2). There are 2 cabins situated below yacht's deck. Seirios has 2 WC. 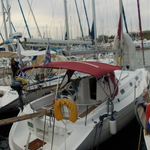 You can get more search results by opening this link here: Yacht charter Athens. In this sailing boat is installed motor 18. 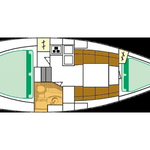 With 9.85 m of lenght and 3.23 m of width Seirios offers enough space for comfortable sailing. Oceanis 311 Seirios is equipped with: Gps plotter, Autopilot, Bimini top, Anchor electric windlass, Wc pump electrical, Bed linen, Radio cd mp3, Outboard engine. . Nonrefundable caution is 1500.00 EUR. You can get different yachts in this section: Yacht charter Athens.